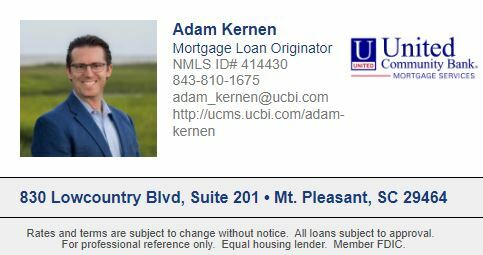 Adam Kernen is a veteran home mortgage professional who has provided a high level of service to his customers for more than 15 years. A native of Souderton, Pennsylvania, Adam has lived in Charleston since 1996. He is a proud graduate of Penn State University, with highest distinction. Adam continually strives to give the best advice, market insight, and interest rates, all while providing an easy, pleasant, and smooth mortgage experience. Known for his creativity and logical approach, Adam says that, "My role is to help you reach your home ownership and financial goals faster, by applying creative and diverse thinking to your personal situation." 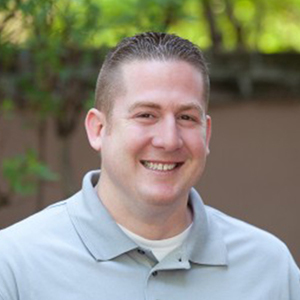 Adam’s PASSION is to come up with creative solutions for his customers and his business partners. He says, "I am very thankful to be in a position where I can help people set and reach goals they may not have thought possible!" After working hours, Adam returns to "the most wonderful family on earth": wife Laura (high school sweetheart since age 15!) and daughters Annika and Joelle. He also enjoys coaching and playing soccer as well as saltwater fishing. Equal Housing Opportunity This message is for the designated recipient only and may contain privileged, proprietary, or otherwise private information. Any unauthorized use, dissemination of the information, or copying of this message is prohibited. If you are not the intended addressee, please notify the sender immediately and delete this message. CMG Financial. All Rights Reserved. CMG Financial is a division of CMG Mortgage, Inc. NMLS# 1820. Corporate Address: 3160 Crow Canyon Road Suite 400, San Ramon, CA 94583; www.cmgfi.com. CMG Mortgage, Inc. Licensed by the Department of Business Oversight under the California Residential Mortgage Lending Act #4150025, California Finance Lenders Law #6053674. To verify our additional state licenses, please log onto the following website, www.nmlsconsumeraccess.org.